Having a buffet at a party is a great response to a casual get together. It evokes mingling between people by making them float from dish to dish. This table top arrangement also allows for ample creativity. Of course that the delishous food is the most important part but if it is displayed in a nice way with complimaently decorations it will be even sweeter. What a magical way to dine! Big crystal pendants above your head, soft fur on your back and flickering candles setting the mood to chat and sip wine for hours. Don’t wait to be invited to such a lavish event. Pair up with a good hosting buddy and make this transformation for yourself! The blue out the windows is truly stunning. It looks like twilight – my all time favorite time of day. Amazing things always seem to happen in that sliver of time. Want to make your meal instantaneously sophisticated? Add cloth napkins. They make posters a little straighter, manners tweaked and ones elbows off the table. Don’t be a bore when setting them out check Folded Napkin for some amazing cloth origami. I’m really digging the bunny! No matter how fancy it is folded, when seated place the folded napkin in your lap. Blowing your nose into the linen is frowned upon. Ask for a tissue if you want to be invited back. At the close of the meal place the used article folded on the left side of the plate or on the seat of your chair. Don’t put it the plate to try to cover what you haven’t eaten. 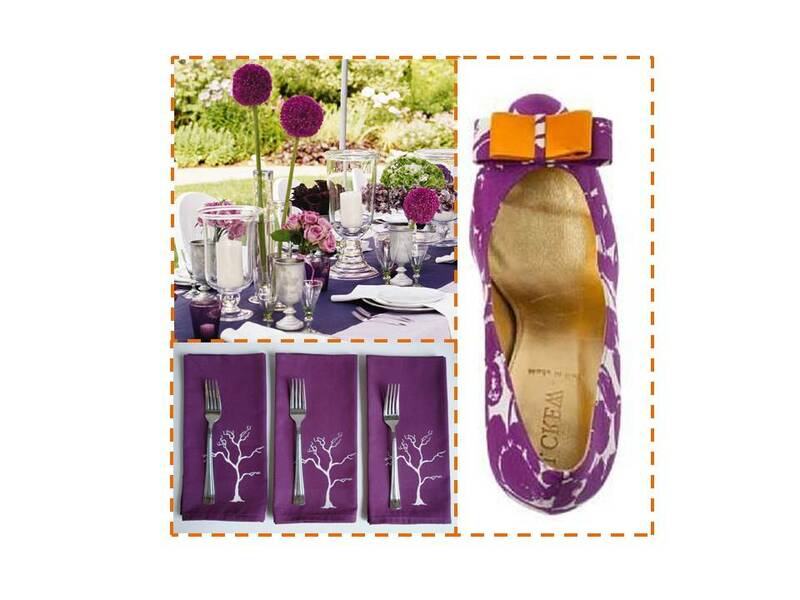 It has been predicted that purple is going to be big in 2011. Why not try you design skills for our first contest/giveaway for the new year? The prize is a signed copy of Campion Platt’s ‘Made to Order’. Check out detail here. Be you an amazing at home chef or a take out queen your plates get exercised on the regular. Daily dish ware should be a thought out purchase. 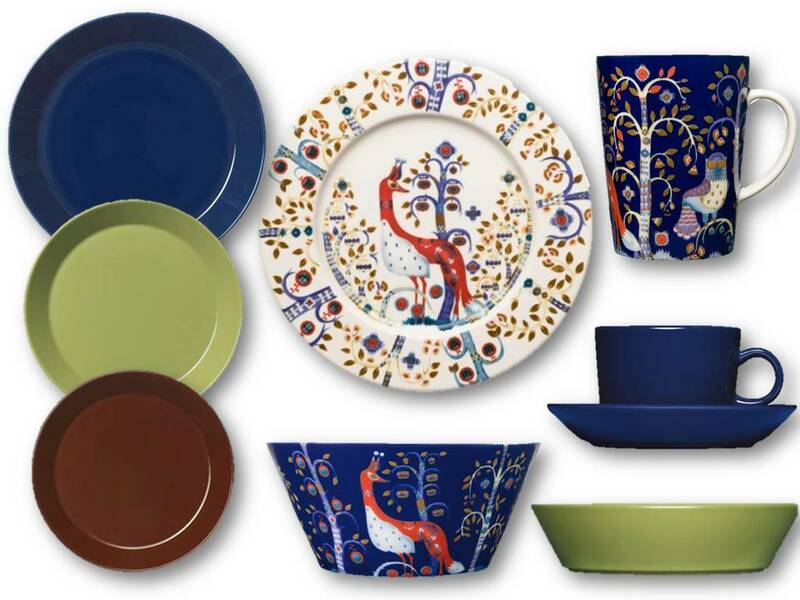 Mixing colors with patterns gives you more options when planning your table. I love this collection from YLiving. The pattern has a great ‘old world’ feel and the muted colors give it a great contemporary vibe. Versatile: Some crazy color or pattern might catch your eye and give you momentary lust but think of the repeat value. Will you be able to stand that neon pink plate in 6 months? Easy to Replace: Make sure that your collection isn’t a limited edition. There is nothing more frustrating trying to replace a fallen comrade and discovering that they are no longer made. Tip: If you find something you adore write down the store, color, model and when you got it in a designated design notebook. Other things that would be helpful in such notebook- paint colors.